Imperial Candles. The Candle with a Jewel Inside! So a bit of a home/gift post today. 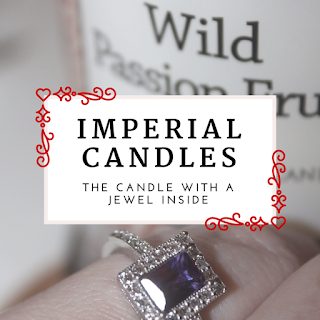 A few years ago I came across a brand called Imperial Candles. Essentially Imperial Candles make soy wax candles but they hold a secret! Ever candle comes with a Jewel immersed inside the wax! You can choose what kind of jewellery you would like in your candle, from rings to necklaces and you can pick your sizes too! The jewel itself is sterling silver and can have a value of anywhere between £25 to £2000! It's such an exciting thing to have! The jewels are wrapped in two layers of foil and then a little plastic bag to ensure they aren't damaged by any heat or wax. All you have to do is light your candle and wait for the foil to appear then simply prize it out with some tweezers, unwrap it and there you have your jewellery. My first candle was English Pear and Vanilla, it smelt beautiful and the scent fills a room quite easily. They burn for an incredibly long time and come in a beautiful tall glass jar that you can easily wash out and reuse when you were done. 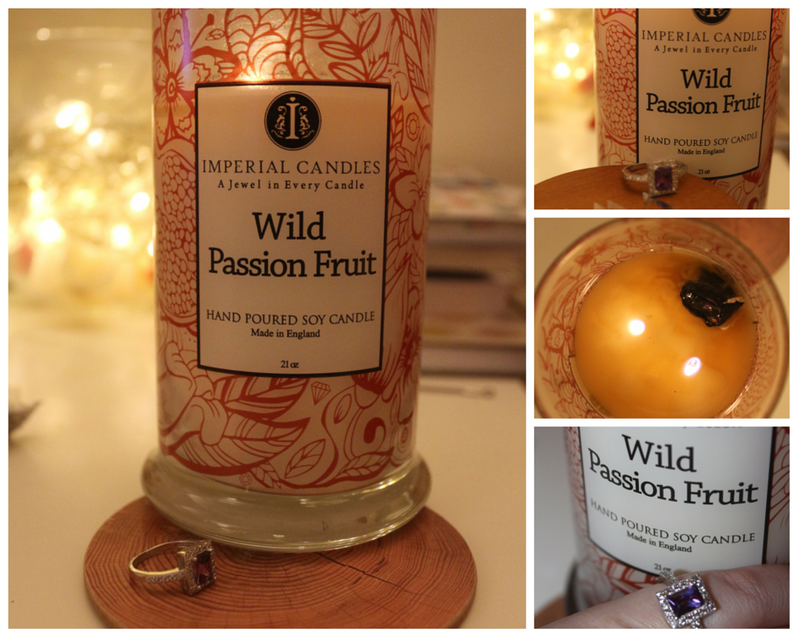 Imperial Candles were kind enough to send me a candle to show you all, this time the scent is Wild Passionfruit. I am not as keen on this scent as I was the last because it is a bit sweeter and I liked how clean the last one smelt. Nonetheless I am burning it right now, it is still a beautiful candle. 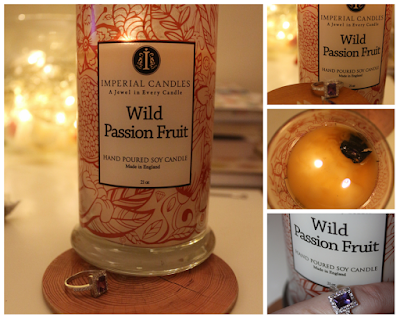 The ring I got inside the Wild Passionfruit candle is stunning. It had a value of £45 which is more than the candle cost! 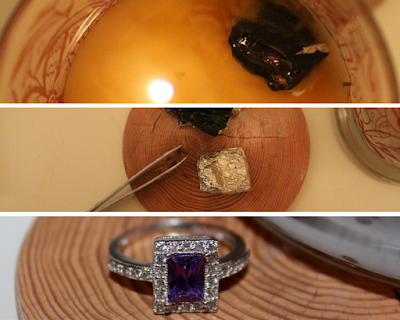 It is a beautiful Princess cut Amethyst coloured stone surrounded in clear crystal with a sterling silver ring. I love these candles and they feel like such a treat, I think this would be a great alternative to an Easter egg, this time of year and a perfect gift for anytime! You can buy Imperial Candles here, they do bath bombs now too!